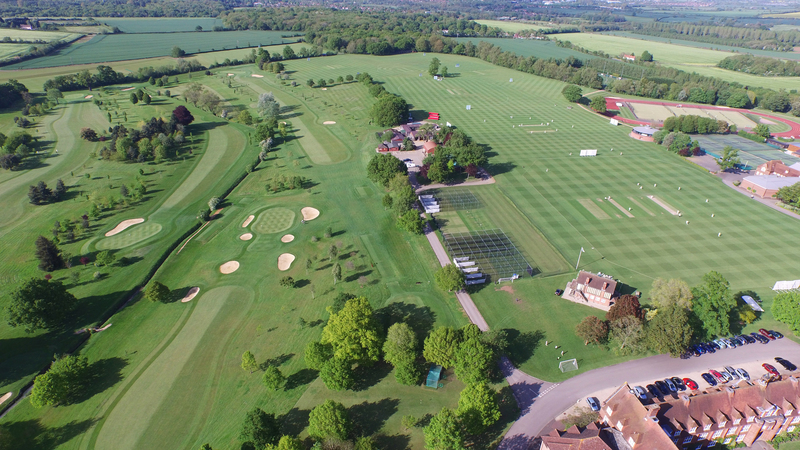 Radley opened its doors in August 1847 with just 3 boys and 4 staff, but in spite of the obvious shortage of potential players, cricket was more than a glint in the eye of Radley’s founders when they toured the county looking for suitable sites for their new school. “We were particularly struck,” wrote Robert Singleton of his visit to Radley Hall with William Sewell, “by a fine expanse of sward in the front, where boys could play cricket to great advantage”. Sewell and Singleton’s sward is little changed today: it’s true that one no longer has a view from Bigside back to the Hall itself, but facing north east towards Jackdaw Clump and Bluebell Wood, the unbroken stretch of mown grass in Capability Brown’s eighteenth century landscape is just what Sewell and Singleton saw in the spring of 1847. There have been cricketing embellishments along the way: once cricket became a regular feature of school life, a rudimentary “Pavilion” was erected where the scoreboard now stands (replaced in turn by the present pavilion in 1900), and as the runs began to flow a Century Clump of oak trees was planted along the west side of the playing fields (beyond the present groundsmans’ accommodation), one new tree for each fresh hundred between 1900 and 1937. Today 9 match squares cater for our Saturday fixtures, and up to 20 Radley XIs will compete against our old foes during the summer term. 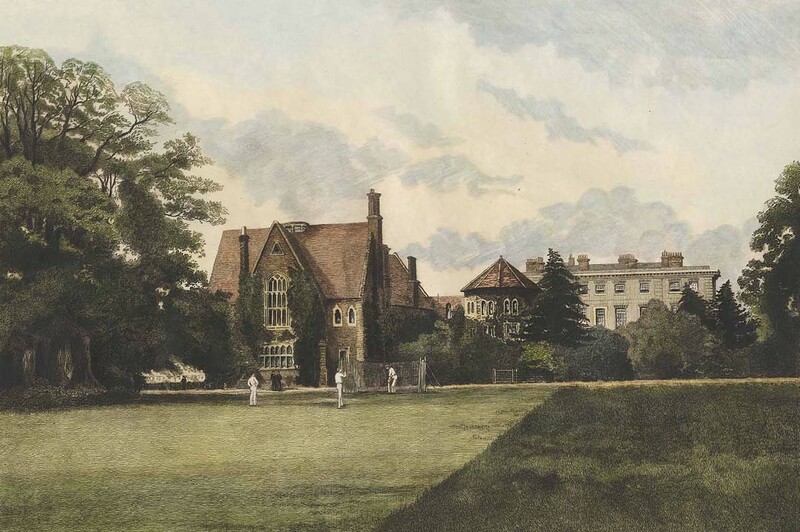 In the early 1850s, as a robust debate was being played out in the correspondence pages of Bell’s Life over which schools were worthy of playing cricket against each other at Lords, Radley, just about the newest of newcomers, contented herself with matches against Oxford Colleges and an 1853 match against another new foundation, Bradfield. 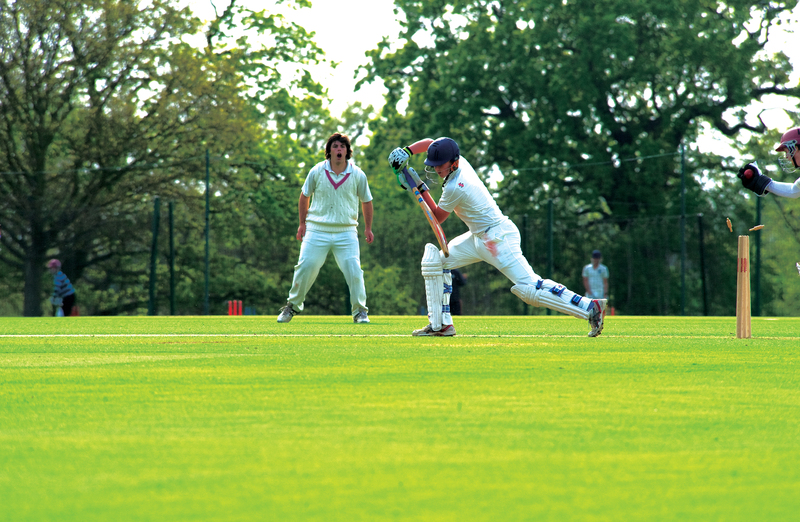 Matches against schools were few and far between – a match against Eton was attempted in 1859 (but drowned out), Bradfield were not met again until 1863, and Wellington played in 1865 – and notable Radleian cricketers were more the exception than the rule. Nonetheless, Radley cricketers did gradually creep into the cricketing limelight from the mid 1860s onwards and there were characters among them. The first was William Collins, ‘Colenso’, “very fast off the pitch”, who, although he missed his Blue at Oxford, played 2 first class fixtures against The Australians, for Lord Londesborough’s XI in 1886 (Collins scored 56 not out) and for Oxford Past and Present in 1888 taking 6 for 35. ‘Colenso’ was Radley’s David Harris; just as Harris, in the legendary Hambledon side of the 1780s, was reputed to “grind batsmen’s knuckles to dust” against their bat handles, so Collins gained a reputation for ferocious pace. The Field carried one anecdote that Collins took 3 wickets with one ball – the original delivery cut the batsman’s hand, the non-striker fainted at the sight of blood, and the next man refused to come in. Collins went on to become a pillar of the MCC and the Free Foresters. 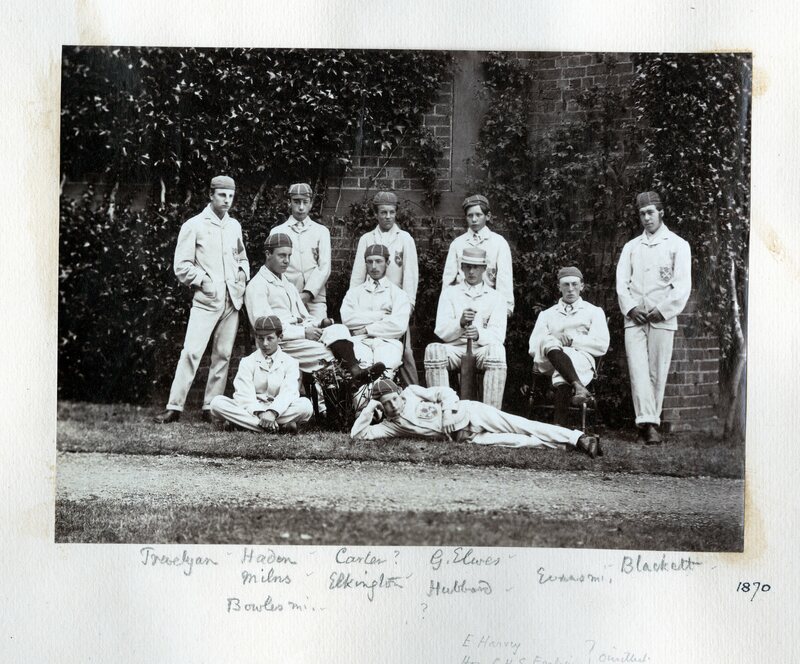 From the 1860s through to the Second War, Collins was joined among the notables of Radley cricket by a number who played 1st class cricket and 3 who became Radley’s first cricket tourists. The Akroyd brothers played fitfully for Surrey in the 1870s, Henry Maul played for Northamptonshire and captained Warwickshire, and Reginald Moss and Lawrence Bathurst became Radley’s first Oxford Blues in 1889 and 1893 respectively. Bathurst was credited by his captain, CB Fry, with decisively turning the 1894 university match Oxford’s way by taking the first 4 Cambridge wickets cheaply in the second innings. Maul was Radley’s first cricketing tourist as a member of Lord Harris’ team which toured Australia and New Zealand in 1878, and Bathurst followed suit in 1894, as a member of Lord Hawke’s team that toured North America: he was the leading wicket taker in the party with 30 scalps at a smidgeon over 6 runs apiece. 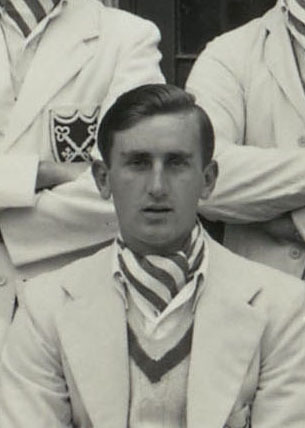 In 1931, Arthur Kershaw was a member of the Public Schools British Empire Tour team. 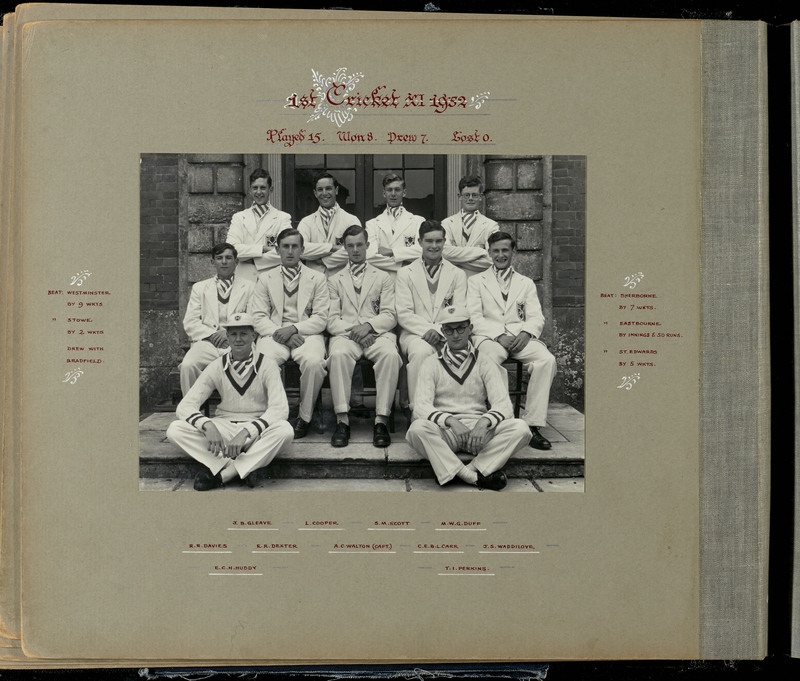 Others such as Oswald Reid, Reginald Keller, Alistair Blair, and Hugh Dinwiddy all represented the Public Schools XI or played 1st class cricket between 1913 and 1931: of these Reid – the only Radleian to date to win a VC (during the 1917 march on Baghdad) – lost the chance of a cricket career by his early death in 1920, and Dinwiddy lived to be the last surviving 1st class cricketer to have played against both Jack Hobbs and Donald Bradman. Bradman he remembered as “alright”, but Hobbs as “very kind”. The high tide of Radley cricket, however, came in the years after the Second War, and it is no coincidence that in this period the College was served by two of the greatest school cricket professionals: Bert Robinson and Andy Wagner. A brief note in The Radleian 1874, states that ‘W Bancroft (S Wales) has again been engaged as professional’ but nothing futher is recorded about professional coaching until 1928 when Radley appointed Percy Mills, who came from a 27 year career at Gloucestershire to bring on the school XI. Mills worked with a new Master-in Charge, Ivor Gilliat, to produce a fine side in 1947, but it was Gilliat’s partnership with Bert Robinson, once of Northamptonshire, that produced the unbeaten Radley sides of 1950-52 and gave structure to the panache of Ted Dexter, Radley’s first Test cricketer. Bert, who arrived at Radley in 1949, provided the practice – “most Sundays, I would be in the nets all day” Dexter remembered – and Gilliat the key advice about how to gain mental superiority over your opponents, although (Dexter again) “nothing that sullied the etiquette or the beauty of the game was tolerated”. Where there was beauty in Dexter’s cricket, it was in the bellow of the blast: at Radley he was said to have hit Clock Tower on the fly, and he could bat like a tornado – his 147 in 110 minutes against Bradfield was only the most memorable of his school innings. With all dash of a cavalryman, he brought this power to Test cricket in a career that spanned 62 Test matches (30 as captain) scoring 9 centuries and taking 66 wickets to boot: “there was no more exhilarating sight in English cricket than Ted Dexter savaging fast bowling” wrote John Thicknesse, and perhaps his most famous innings, for all his 9 hundreds, was the 70 that he thundered from 75 balls against the lightning bolts of Wes Hall and Charlie Griffiths in the Lords Test of 1963. And when the Radley cricketing brotherhood gathered in 2007 to celebrate Bert’s 90th birthday, it was Ted who proposed the toast. Radley cricket does not have cricketing dynasties such as the many Fosters of Malvern, although we have our fair share of families that feature many times over in the photographs in the Pavilion – Barkers, Bristowes and le Blanc Smiths – and one glorious cricketing name in WG Pine-Coffin who played in the 1886 XI under Lawrence Bathurst, but there is a love and appreciation of the game here, and has been since Radley was conceived. We love its thunder and its finesse, its competition and its comradeship. 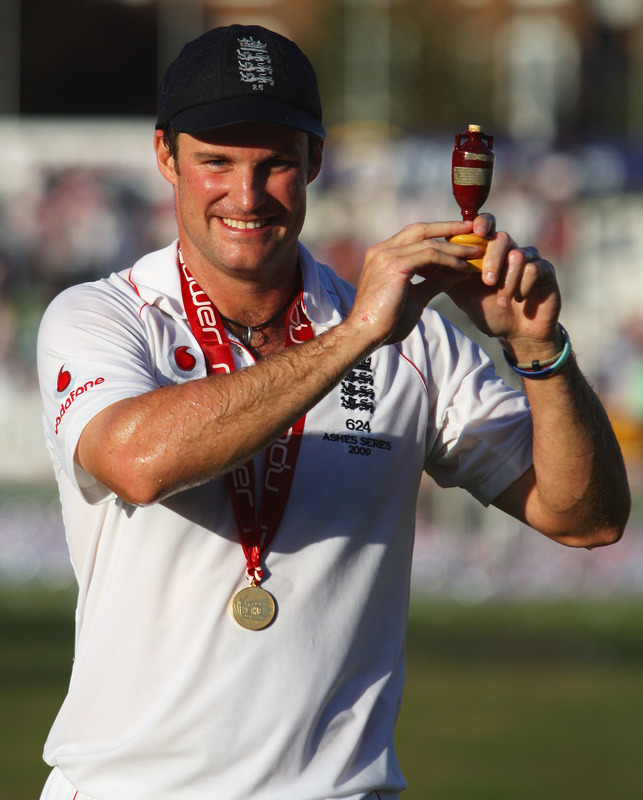 Some Radleians have achieved mightily in cricket, some are remembered beyond these fields, and some hold records that will no doubt be broken: at the time of writing Andrew Strauss holds the record for the largest number of outfield catches taken by an Englishman in Test cricket with 121. However, there is one 1st class record held by a Radleian that, I wager, will never fall. Reginald Moss, that first Radley Oxford Blue of 1889, had a 15 match 1st class career between 1889 and 1893. Then, in 1925, and now the Revd Reginald Moss, he was plucked aged 57 from his parish at Icomb to play one match for Worcestershire at Worcester. That record of 32 years between 1st class appearances will last forever.